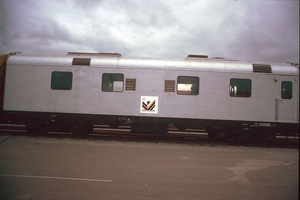 Steel power car built by Commonwealth Engineering for use on the narrow gauge Ghan service. Contract No. 2573-1965. 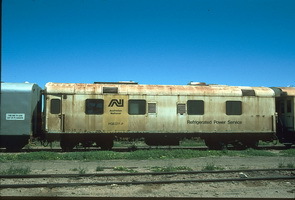 11.1.1966 Entered service on the Central Australia Railway as "NG 68". 11.1980 Used on the last Ghan 11.1980. 16.7.1983 Converted to standard gauge as "VGB 377". 1986 Used on the Jubilee Trade Train. 1.7.1998 To Australian Rail Track Corporation. 5.3.2011 ARTC issued tender for sale of item.